Every year, no matter what grade I teach, I read the book, The True Story of the 3 Little Pigs. I always read this story the first week of school for two reasons. First of all, it is my favorite story which I tell my class. This builds a personal connection with my students. I have found this book is a wonderful resource for conflict management. What class doesn’t have a few conflicts, right? Just like my students have conflicts with their brothers and sisters, at some point this school year, they will have conflicts with a classmate or two. Learning to solve conflict is an important life skill. I point out that in the original version of The 3 Little Pigs, it seemed like the wolf was the bad guy. But, when we read this version, it seems like he was just a little misunderstood. The pigs were jumping to conclusions about him because they didn’t know the wolf’s point of view. He didn’t seem so bad after all, after we heard his side of the story. I assure my students that when we have conflicts, it is important that we listen to both sides of the story. Never assume your side of the story is right. A little truth can usually be found in both versions of a story. Having the text-to-self connection helps with conflict management. I highly recommend all elementary teachers share this book with their class at the beginning of the year. 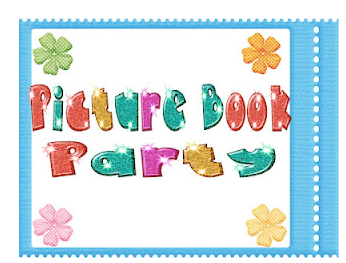 For other picture book ideas, visit Jeannie @ Kindergarten Lifestyle‘s picture book linky party. I love your blog and I'm your newest follower! I have chosen your blog to receive the One Lovely Blog award. I would be honored if you would visit my blog to check out the details! Thanks!